UPDATED: Wed., March 1, 2017, 10:59 a.m. This occasional series helps us get to know local chefs. We’ll learn about where they dine out and who or what inspired them in their culinary careers. Plus, they’ll share a recipe. 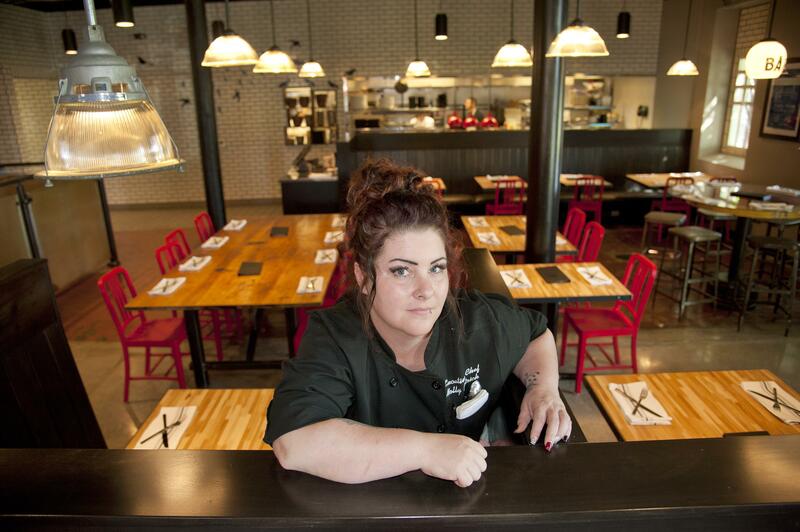 Here’s a Q&A with Molly Patrick, 36, head chef at the Blackbird and Manito Tap House in Spokane. What’s your favorite dish to cook at home? Ribs with greens, mac-and-cheese and cornbread. Where do you eat when you eat out? I don’t go out much, but when I do it’s to locally owned restaurants. Who or what inspired you to become a chef, and how? My first job was in a kitchen, so I would say my team at the time inspired me. I felt like that was where I belonged and what I was meant to be doing. Now, I still find inspiration from my team, but also Rene Redzepi, chef of Noma, and Dominique Crenn, chef of Atelier Crenn. And, just the idea of being great and continuously learning inspires me. What are your go-to ingredients? Love, passion and finesse. What was the first dish a customer ever sent back to you, and how did you handle it? I can’t remember. You’re never happy when something comes back. You just fix it, and if there is something to learn from it, then learn it. What’s a dish you’ve never made but would like to, and why? I want to make food that levitates from the plate. What dish or ingredient best represents you? I’m like an onion. I have lots of layers, and I’ve been known to make people cry. I love goat. I love it because it’s simple food and when you take a bite it’s like being at home. Not a fan or can’t get your hands on any goat? The same treatment can be used on chicken, just adjust the cooking time to 2 hours. Sear goat shoulder. Deglaze with beer. Add remaining ingredients. Cover and braise for 3 hours or until fork-tender in a 200-degree oven. Published: Feb. 28, 2017, 4:50 p.m. Updated: March 1, 2017, 10:59 a.m.